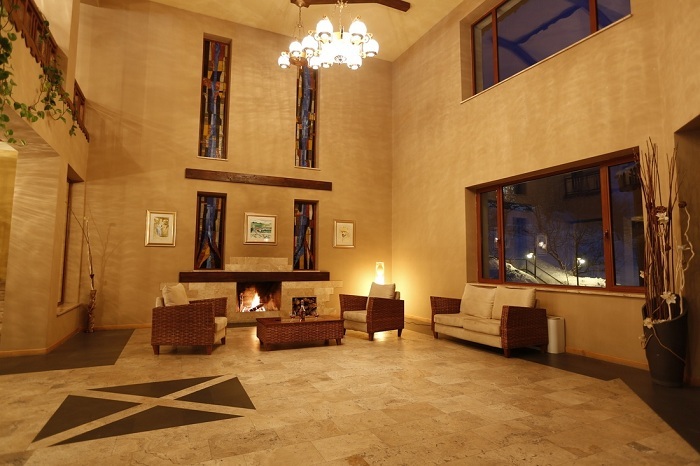 Arthurs Aghveran Resort is located in Aghveran recreational area, at a distance of 50 km from Yerevan, by the mountain chain of Tsaghkunyats, on the River Dalar. 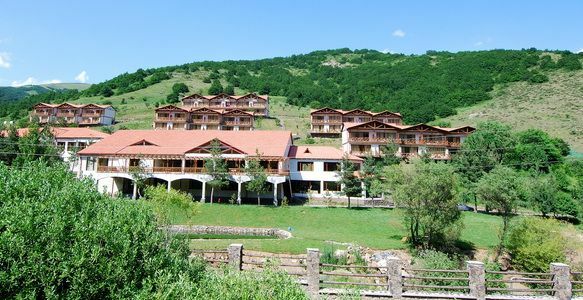 One of the best holiday homes in Armenia, it has a really gorgeous location and represents an excellent base for hiking both for seasoned sportsmen and beginners, a very pleasant retreat for a long weekend. The area is well maintained and very clean. The hotel has a main building and chalet-type bungalows, very spacious rooms, great balconies with pretty views. The bungalows are located on a rather steep hill, with paved paths and stairs connecting them to each other and the main building where the restaurant, bar, reception and indoor pool are located. The facilities offered by the hotel combine active rest with ultimate relaxation, in the midst of blissful nature and fresh air. Arthurs Aghveran Resort consists of 60 modern and comfortable guestrooms arranged in five clusters of Austrian chalets that look like an Alpine village. 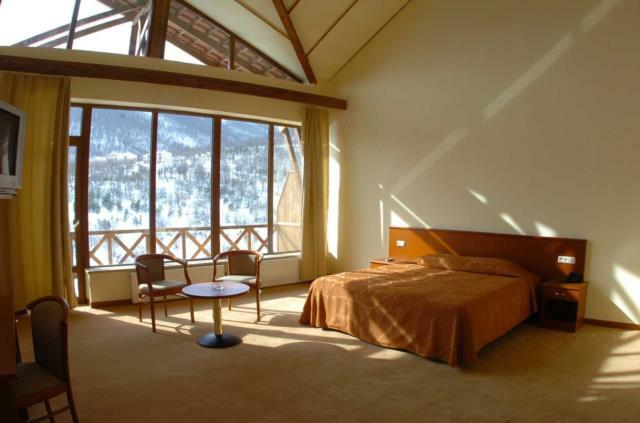 The rooms are very clean, full of light and air, appointed up to the standard, the beds are comfy, and heating is an absolute must (much needed at an altitude of more than 2000 meters above sea level where it does get chilly, even in summer). All the rooms feature a satellite TV, phone, refrigerator, a private bathroom. The bathrooms are spacious and clean, reasonably well appointed with very pleasant sandstone tiling, walk-in shower, and basic toiletries. Room service is available round the clock. Spa facilities at Arthurs include a fitness centre, hydro-massage baths, and a sauna. Guests are welcome to use the football field, the tennis courts and the billiards room, and there is also a children’s club. The outdoor pool is small but nice and clean. The indoor pool is big and very good and becomes a complete treat in winter, when it is nice and very warm inside and there are mountains of snow behind panoramic windows. Free Wi-Fi is provided. Parking is free. Arthurs Aghveran Resort offers a range of solutions for your business: the Large Conference room with a capacity of up to 200 delegates and the Small Conference room that can accommodate up to 25 delegates. 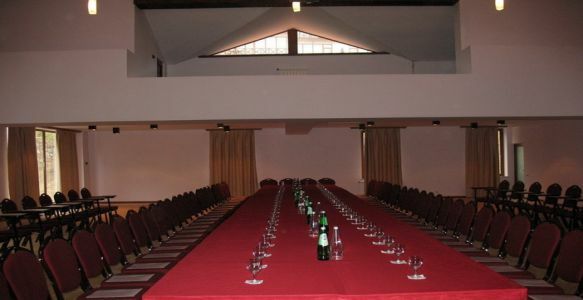 The conference facilities include all the necessary equipment for meetings and conferences. 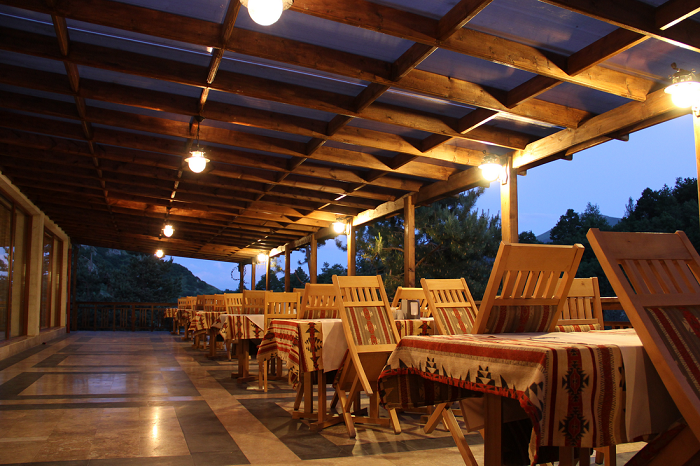 A varied breakfast buffet is provided every morning at the sunlit restaurant of Arthurs Aghveran Resort. The breakfast is always generous, with a good choice of dairy and delicious homemade jams, yummy pancakes and the rest, and is a perfect delight when served on the terrace. 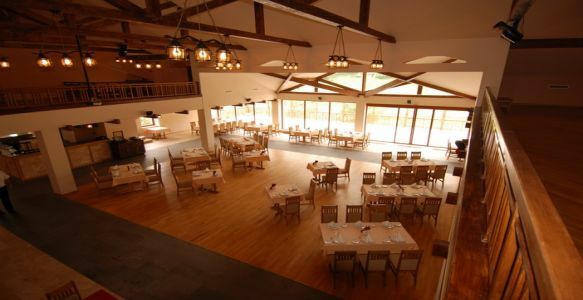 The venue can accommodate up to 250 guests. The pleasant atmosphere of the small cozy Bar gives you a good chance to get away from daily routine enjoying a light drink with family or friends.